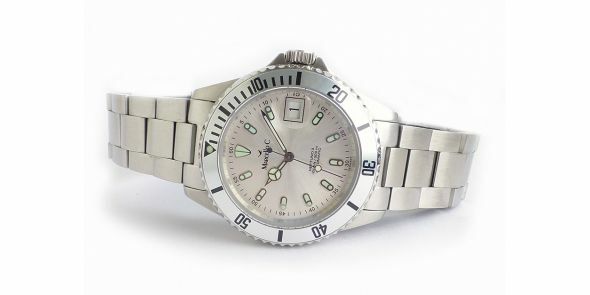 Beautiful satin silver dial and bezel Divers watch. 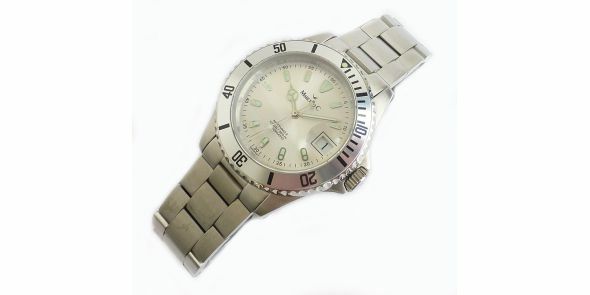 It is practical and durable classic divers design wristwatch made to the highest standards and absolutely bullet proof. 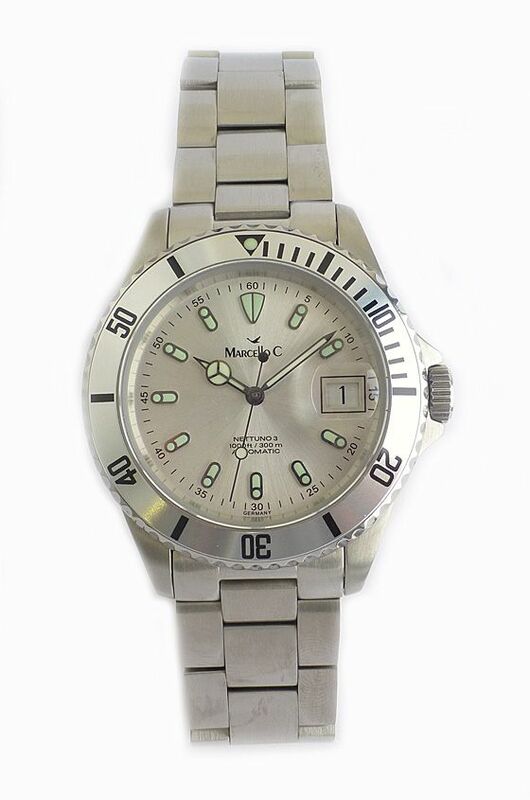 It’s a timeless design and crafted to the highest of standards. 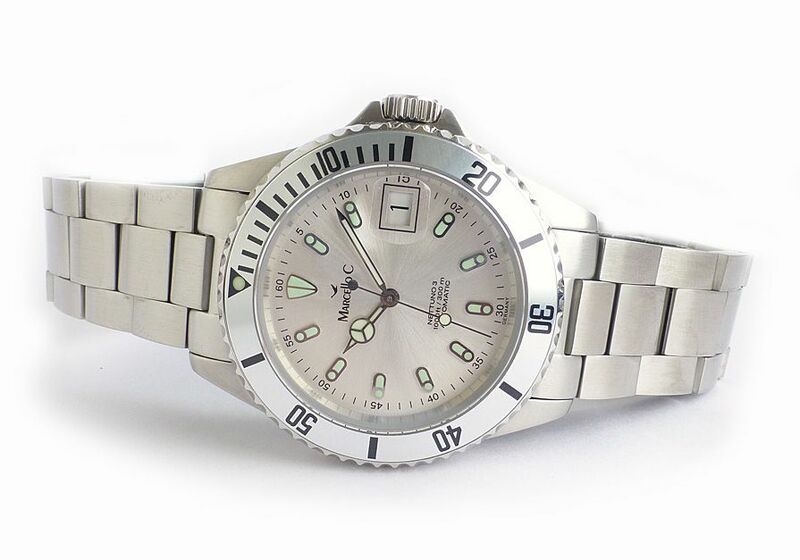 Diver’s watches are used not only by diver’s, and water sportsmen, but anybody with a desire for sporty and practical looking watches, that are able to stand up to the pressures of hard activity – and can measure on hour of elapsed time. 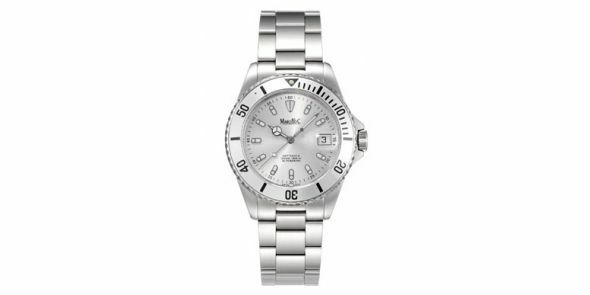 The Nettuno is a large and substantial watch purposeful and powerful looking. 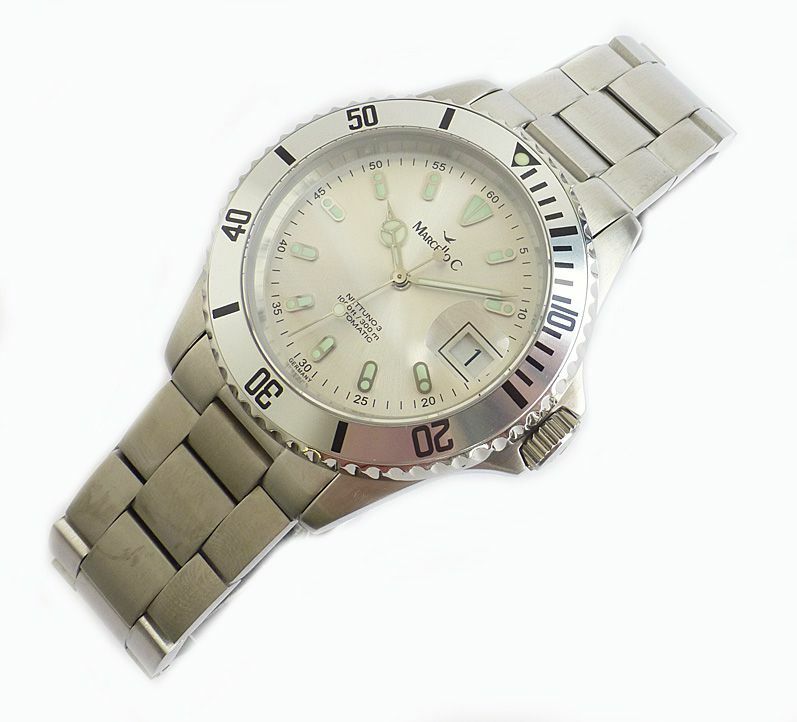 The case brushed stainless steel, with solid stainless steel bracelet and fliplock safety buckle and wetsuit extension clasp. 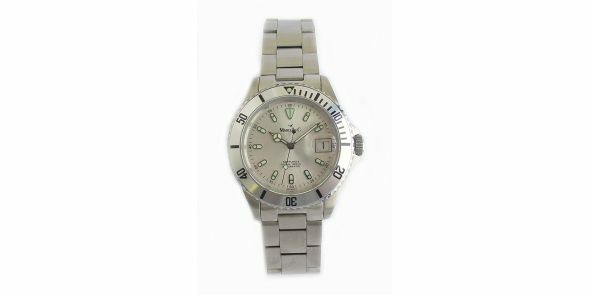 The bracelet has got solid end links and screw in links allowing maximum safety and strength. 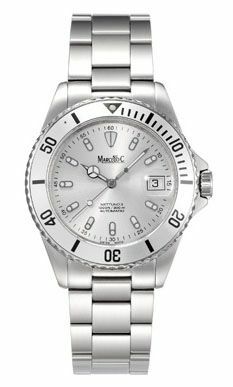 It has a super hard scratch resistant sapphire crystal with magnifying lens, screw on glass back and a screw down crown which allows for 300 metres or 1,000 feet of water resistance. 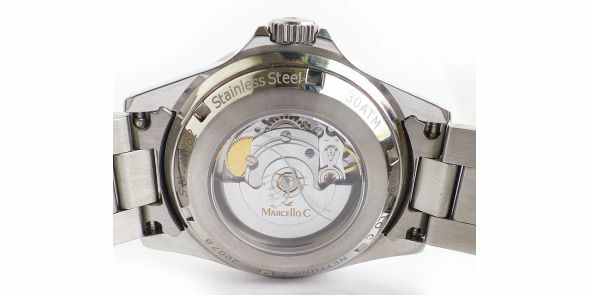 It has a stunning satin silver dial with superluminova filled baton markers. 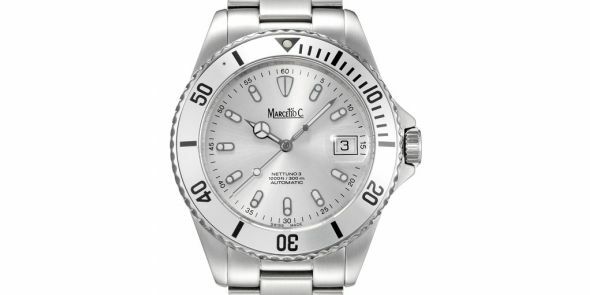 It has a sturdy ratchet operated uni directional rotating bezel with sixty minute graduations, and the first fifteen minutes are iterated to the minute markings. 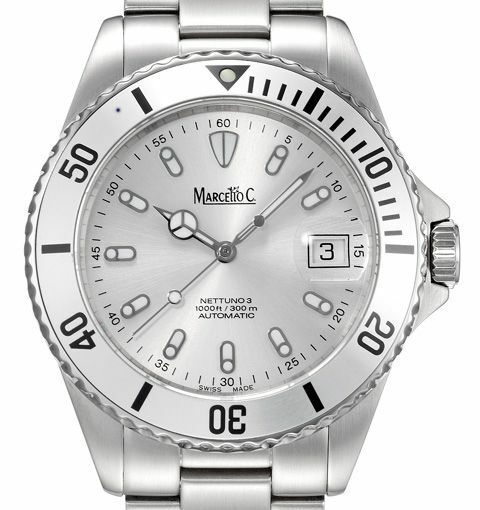 The bezel compliments the dial perfectly as it is also in satin silver. 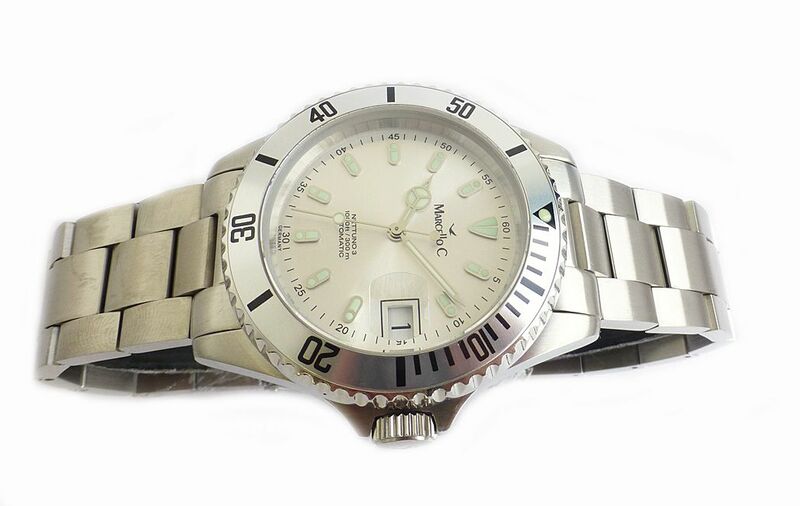 Luminous dot on the bezel. 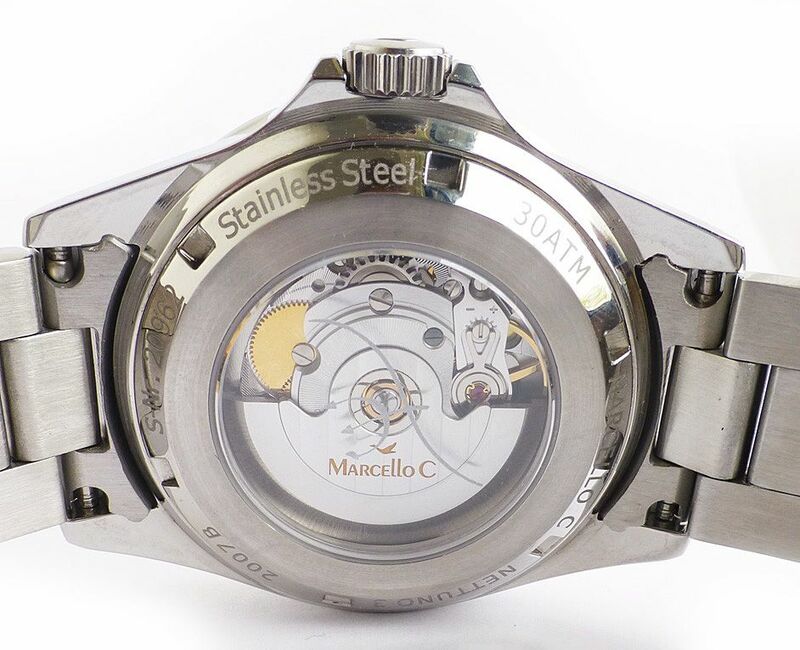 The movement is the ETA 2824-2 automatic winding 25 jewel movement, which is the world standard in automatic winding watches. Model reference 2007.3. Brand new, comes in leatherette travel carry case, outer box, instructions, hang tag and warranty card with 2 year warranty. 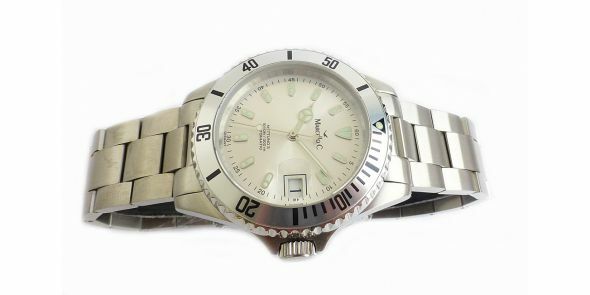 Dimensions are: width is 40 mm excluding crown and 43 mm including crown Lug to lug is 48 mm, Thickness is 12 mm. Ref MAT 01 Price is £495.